Winning Ebay auctions consistently is not a matter of luck. One only needs to understand and apply the proven bidding techniques used by thousands of successful bidders. These Ebay auction "secrets" include knowing how to properly determine a winning bid amount, and knowing when your bid should be placed. The seasoned Ebay veterans know very well how using bidding software, also known as snipe software, dramatically increases their winnings while allowing them more options when it comes to managing their time. 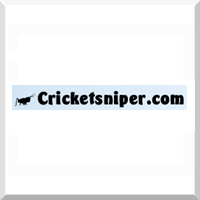 The first computer program ever designed to automate the tasks of Ebay bid submission means Cricket Power Sniper is the longest running most dependable bid snipe software available. Relax while Cricket does your bidding. New and Improved Cricket is in final development as of August 2007.